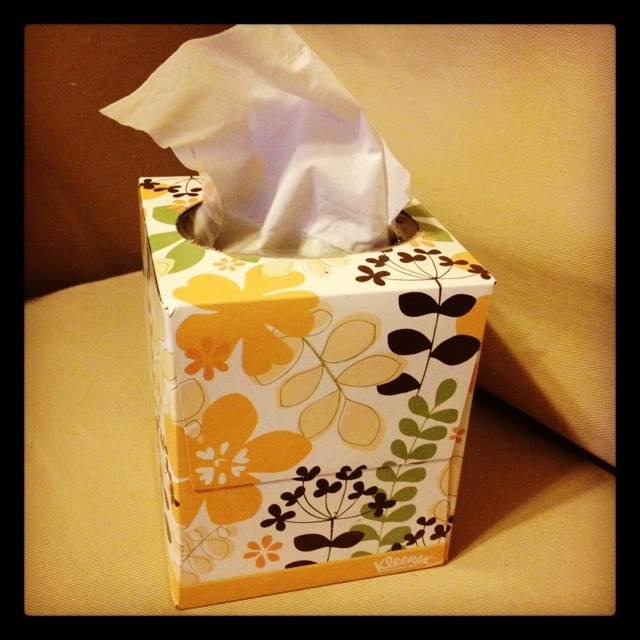 Pretty much my BFF right now. A long, tiring, meeting-filled week has left me with no capacity for narrative, so, bullets. Which is my quippy way of saying my allergies are kill. ing. me. Making it worse, the weather hasn’t even been that warm and springy this week. I’d still feel awful if it was nice out, but would be much more cheerful in dealing with it. It should be illegal to sell Easter candy two-for-one the week after the holiday. I mean, who can resist cut-rate Starburst jellybeans? Not this girl. I am still absurdly addicted to Brussels sprouts, and made another huge pot of this dish this week. I used tortellini this time, and it is divine. I’ve been eating it every day and I’m not getting tired of it. I keep trying to remind myself to just be happy for bonus hockey as the playoffs are getting started, since I really didn’t think the Caps were going to make it this year, but oh, my goodness… I want them to win. Not breathing for three hours while the games are on is going to prove unhealthy, methinks. Make that three and a half hours, at least tonight. Overtime. My friend Hena has a new book out. If you’ve got an 8-12 year old reader (and I know some of you do), give it a look. I think that’s pretty much all I’ve got tonight. So sorry about the allergies. Agree about the Starburst jellybeans – mmhmm!